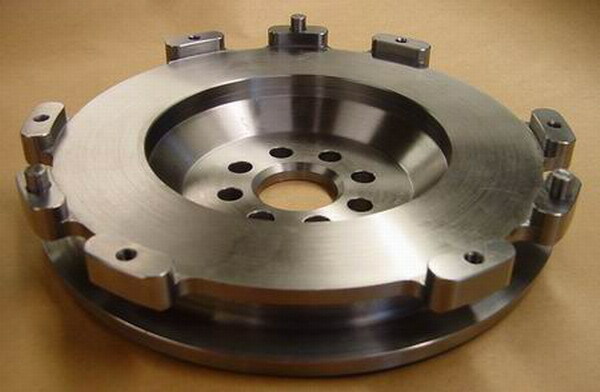 Here we have our beautifully machined light-weight steel alloy flywheel for E46 models. With a low moment of inertia this helps the engine “spin up” faster and get more power to the ground through lower rotating mass. For the E46, there is more to this solution than just improved performance... Both street and racing customer love this flywheel because it performs so smoothly and takes any use flawlessly. -At the inception of this flywheel, Grand Am rules allowed the use of lighter than stock flywheels... but stipulated that they could not be more than a given percentage lighter, and must have been made from steel. This flywheel is ideal for this application.